Only Tattletells who discover their love of heavy metal music can don the skull makeup and become a Skranny. Yo-kai Medallium Bio: Only Tattletells who discover their love of heavy metal music can don the skull makeup and become a Skranny. "Skranny" is a portmanteau of the words skeleton or skeletal, and granny, a term of endearment for someone's grandmother. 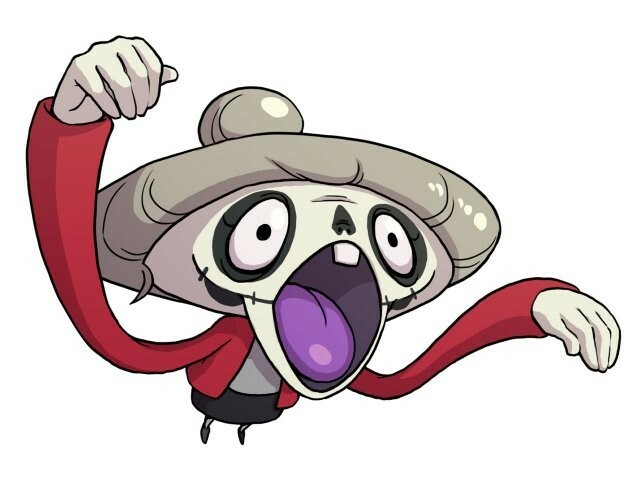 Dokurobaa is a combination of (Japanese: 髑髏, Dokuro, "skull"), referring to her Día de Muertos-inspired visage, and (Japanese: 婆, Baa, "grandma").